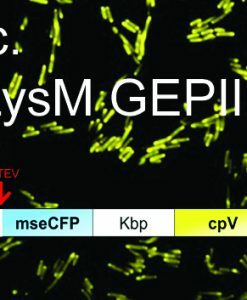 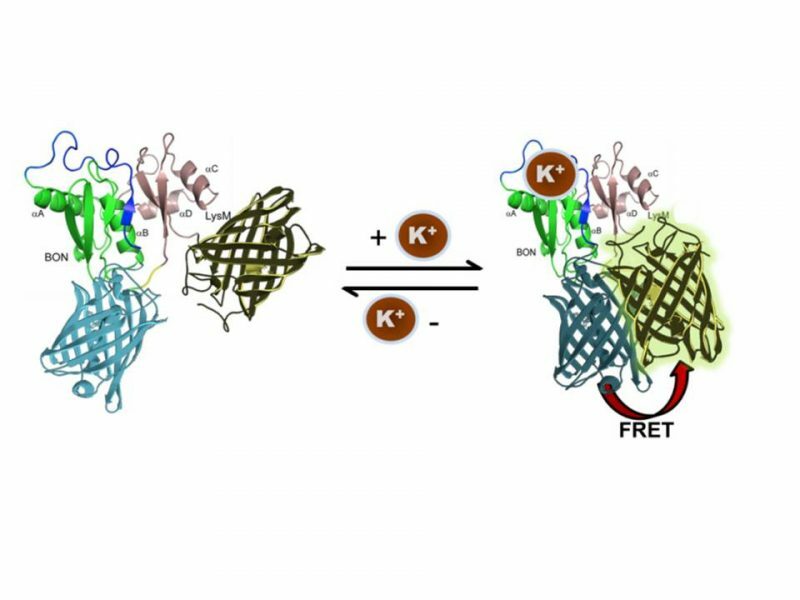 FRET (CFP/YFP) based genetically encoded potassium ion indicator including a nuclear export sequence for cytosolic targeting. 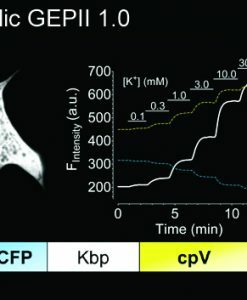 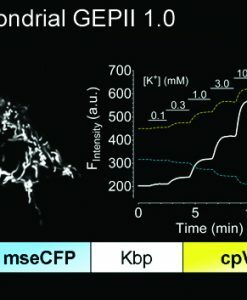 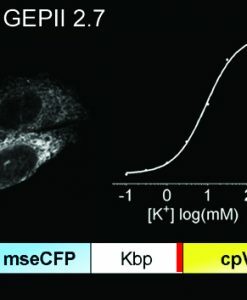 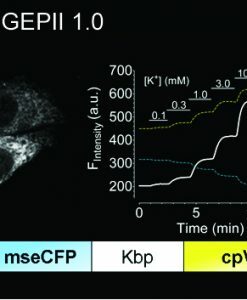 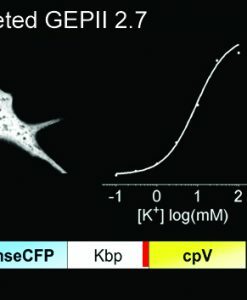 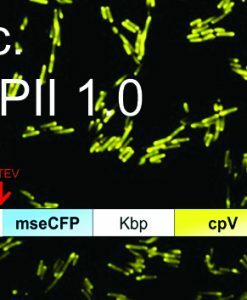 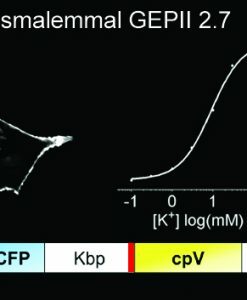 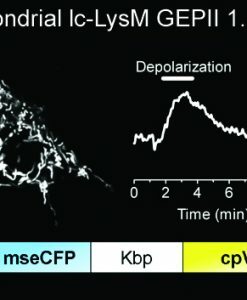 Binding of K+ to the probe decreases the CFP fluorescence signal and increases FRET. 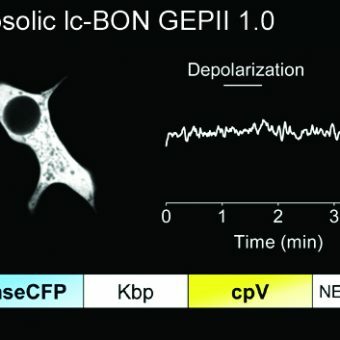 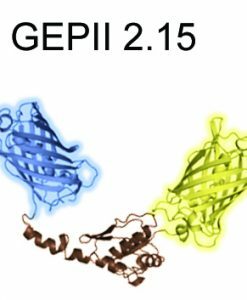 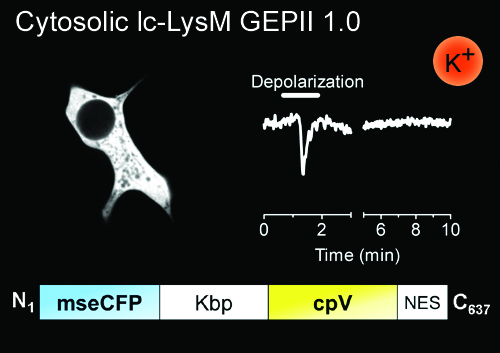 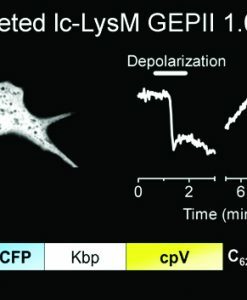 The KD of lc-LysM GEPII 1.0 is around 60 mM suitable for the detection of intracellular K+ fluctuations.